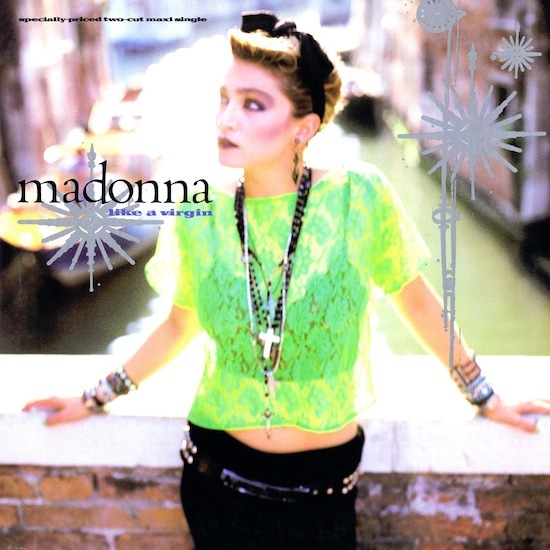 On December 22 1984, Madonna’s Like A Virgin single hit #1 in the USA. It was her first number one single in the USA, and it remained at number one for six weeks. In 2000, Like A Virgin, was honored by Rolling Stone and MTV, as the fourth song on their list of the 100 Greatest Pop Songs. It was voted ten on VH1’s 100 Best Songs of the Past 25 Years. The song was listed at ninety-five on Billboard’s Hot 100 All-Time Top Songs. In 2003, Madonna fans were asked to vote for their Top 20 Madonna Singles of All-Time, by Q magazine. Like A Virgin was allocated the fifth spot on the list. Thanks Madonna for being such a huge inspiration all these years! I love you! Merry Christmas! Thank you M.L. Ciccone for being an inspiration to me! May love keep you always! Love you Madonna!